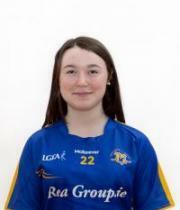 Tipperary Ladies Gaelic Football Association have announced details of their Enda McDonnell Gaeltacht Bursary which is open to any Tipperary Ladies Football member who is attending Secondary School and travelling to a Gaeltacht School in 2018. Application form and bursary rules are attached. The closing date is Friday March 01st at 5pm. Late entries will not be accepted.